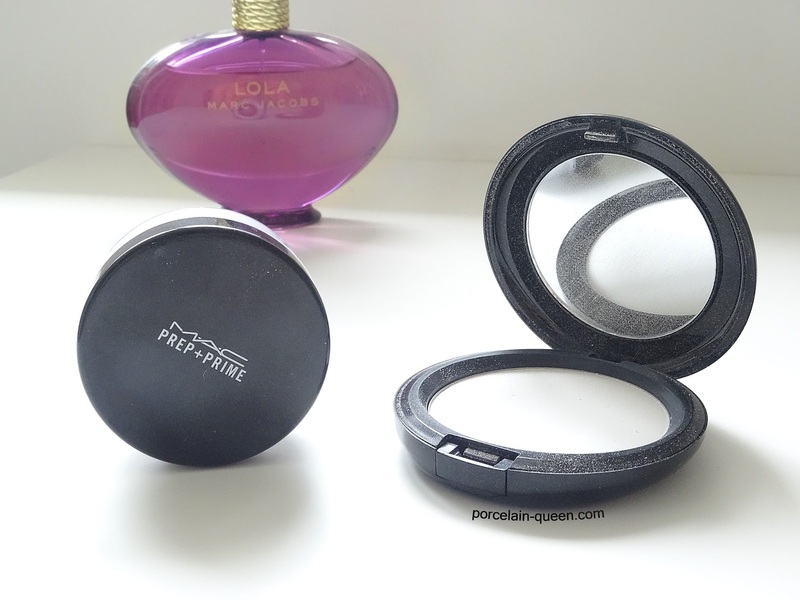 Recently I asked a relative to pick me up a replacement for my beloved MAC Prep & Prime Transparent Finishing Powder from Duty Free but due to a misunderstanding the pressed powder was bought. From the first application I noticed a difference and the longer I've been using it the more those differences have become apparent, so I just wanted to write a super quick post about it. When I swatched the two powders to compare they were seemingly identical, so I made the choice to hang onto the pressed version, and I even remember thinking it would be perfectly handy for on the go touch ups. The first difference I noticed was the pressed powder left a white layer over my skin, similar to when you spray dry shampoo to close to your hair. This happened every application despite me applying less and less, and tapping off excess. This was easily remedied with a quick sweep of a clean brush, but still I found this annoying, and something which never happens with the loose formula. Another annoying difference is linked to the first, because so much powder was inadvertently being applied, every slight dry patch I had was instantly crisped and made extremely, horrifyingly noticeable. And the final difference I noted was my skin was becoming oiler earlier in the day, by the end of a 14 hour day my makeup had slipped and slid around my face making me some what resemble a sad clown. After this happened a handful of times I instantly stopped using it, knowing I couldn't trust it to keep my makeup put. I know this might not be the case with every powder formula available, but I just wanted to highlight that products which are marketed as the same product can act differently when processed into a different form. Has anyone else had this issue with a beauty product?